Digging Deeper with God This Is the Day that the Lord Has Made! What If I'm Not Rejoicing? Inside: This is the day that the Lord has made! But what if you’re not rejoicing in it? Is this wrong? What can you do to rejoice more? This post may contain affiliate links. See our full disclosure here. 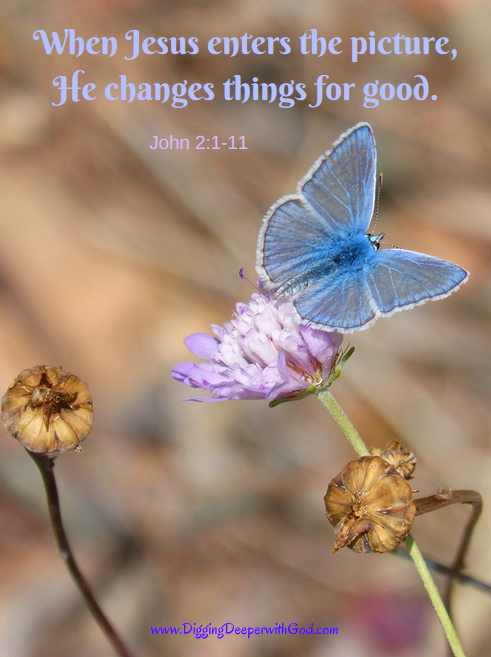 We learn this Bible verse early on, sing songs about it, and find it on pretty wall hangings! The psalmist compels us to rejoice! Every day? Even on bad days? Let’s be honest: Do we really rejoice when the alarm clock goes off on Monday morning? Does our heart dance during times of grief, pain, or depression? Yet there it is, in the Bible, in black and white. Darn. Now what? Does it help you to know that this psalm was written for a special occasion, and the author did not rejoice every day? What a relief! 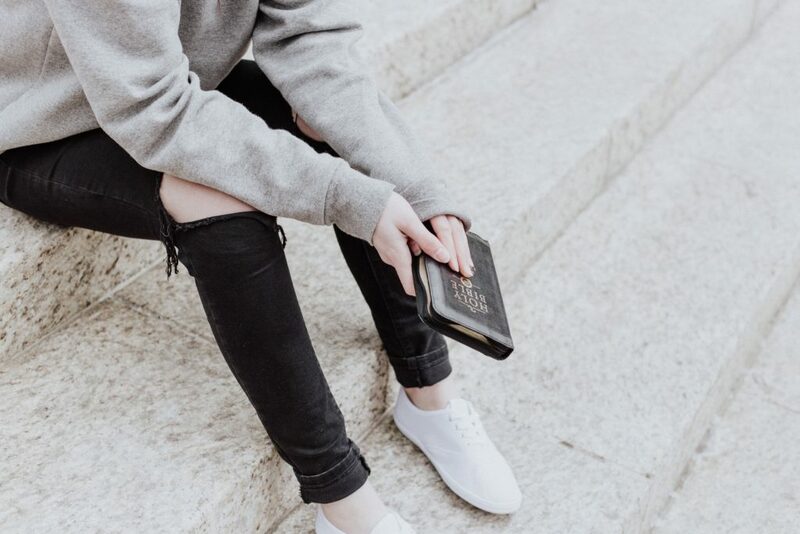 So many times, we take verses out of context and then our thinking gets all twisted, because we or God are not living up to our expectations. Psalm 118 was likely written by David when he finally defeated the Philistines and was seated as king of Israel. After years of hiding for his life from King Saul, David could rest, and he rejoiced at God’s provision for him and his people! It is also possible that the psalm was written by a representative of the people during the Feast of Tabernacles, after the Israelites had been released from Babylon and the walls of Jerusalem had been rebuilt. Either way, it was not an ordinary, grind-your-way-through-work or spilled-milk type of day! So we shouldn’t be too hard on ourselves for not rejoicing on days that tax our patience or challenge our resolve. Neither did David! But on this day that the Lord had made, it was time to rejoice! The construction of the wall was complete, or David was settled on the throne, which would also usher in the coming Messiah! Let’s live guilt-free when we are not rejoicing for legitimate reasons! Yet I would like to look at this from another angle: If we had a renewed perspective on all that God has given us, might we rejoice a little more? Would the alarm clock not seem so unwelcome, and would relational difficulties not turn our eyes from our Savior’s love for us? Samira tugged on the sleeve of my jacket. She whispered forcefully in my ear: “I cannot believe this! I cannot believe that I have lived long enough to see people being baptized in public. An entire family together! No one is shooting at them, no one is threatening them, no one will go to prison, no one will be tortured, no one will be killed. And they are being openly and freely baptized as a family! I never dreamed that God could do such things! I never believed that I would live to see a miracle like this.” . . . . When she caught my eye she leaned toward me. “Why aren’t all the people standing?” she wanted to know. It is all a matter of perspective! What we take for granted, another person might rejoice over! Perhaps your boss is a pain, but you have a job that pays the bills! Praise God! Are you wondering if you and your spouse will ever see eye-to-eye on a particular subject? What a blessing your spouse is in so many other ways. Remember how you met? With the context that all things this side of heaven are not perfect and with the perspective that what we have is pretty darn good compared to what it could be, yes, let’s rejoice! 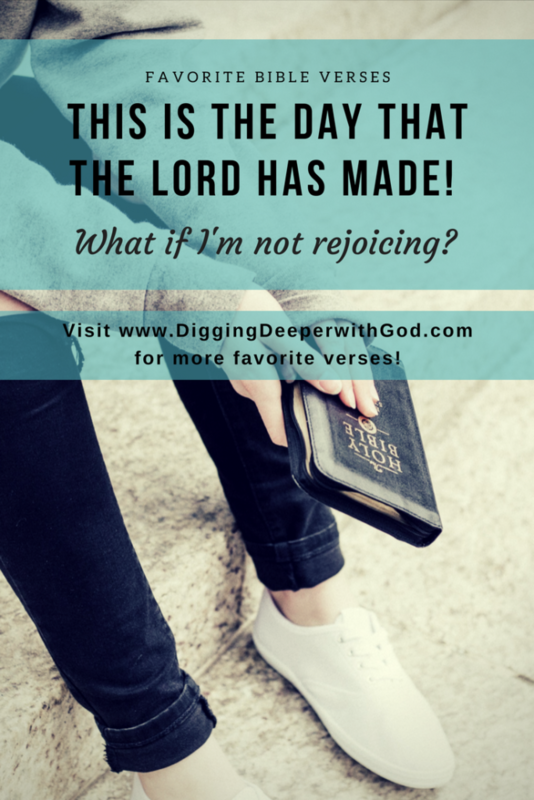 Digging Deeper: This Is the Day that the Lord Has Made! 1. Let God know how you are feeling. I am very sensitive to the fact that some of you reading this have legitimate reasons to not rejoice today. That is OK! I encourage you to page through the book of Psalms and perhaps land on one psalm that you read all the way through. Notice that David often laments in one verse and praises in the very next verse! God created us with emotions, and He understands them all. 2. Read Psalm 118 and use the prompts below to apply it to your own life. I have linked to it in Bible Gateway, but you might want to use your own Bible. Verse 1: What is an example that proves God’s steadfast love in your life? Verses 5 and 6: Where do you feel distressed or fear in your life? Ask God to set you free from those anxieties! Verses 8 and 9: Is there an area in your life in which you need to take refuge in the Lord rather than trust in people? Verses 14 and 15: “The LORD is my strength and my song”–praise Jesus as you read these verses! Verse 22: See the Extra Info below! So cool. Verse 25: What do you need saving from? Or who in your life needs to be saved? Where do you need success? Ask God to provide, according to His will. Resurrection Power, lyric video (Chris Tomlin). You can also watch the official music video. Just for fun: This Is the Day sung by children. I was surprised to see that this song is still sung, and it is sung around the world. I found videos of children singing it in the UK, India, Kenya, and in the Philippines (sung in Tagalog)! Jesus quoted verses 22 and 23 when he confirmed that he was the stone the builders rejected–our true cornerstone! See Matthew 21:42, Mark 12:10-11, and Luke 20:17.